At AnglingCharts I produce cruising charts & fishing maps. I survey lakes and create GPS and paper charts - purely as a non-commercial venture. It's a pastime, much the same as fly fishing is a pastime. Expensive, time consuming, and occasionally very satisfying. It also seems to be becoming quite a geological and archaeological adventure. A beautiful antique style chart of Corrib, the style is of a chart created in the early 1800s. A very different type of chart - with accurate bathymetry and geography from Anglingcharts own surveys, but embellished with a touch of a bygone age. 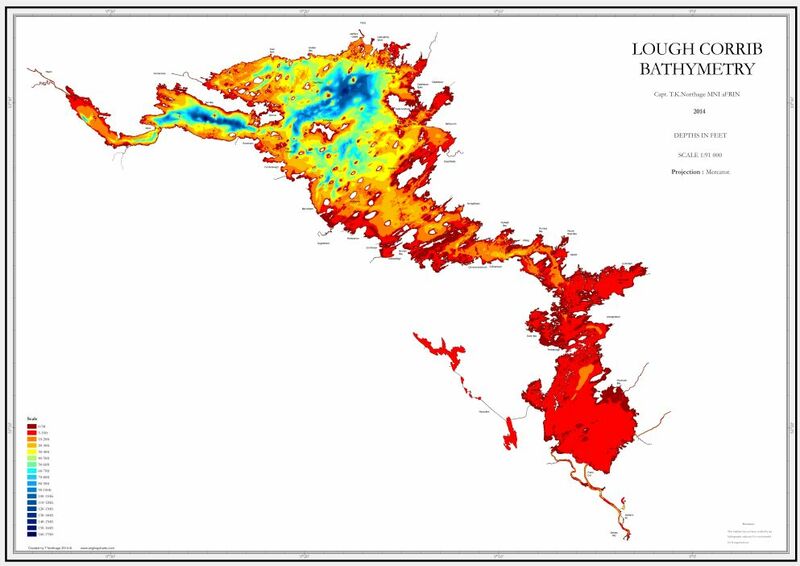 The Lough Mask Wallchart is now available, click on the image to go to the Lough Mask chart page. A sister chart to the Corrib Wallchart. The Lough Corrib Chart Book can be bought from Charlie Byrnes Bookshop in Galway, and signed copies can be bought directly for postal delivery from charts@anglingcharts.com (using Paypal). Unsigned copies are sold on Blurb and Amazon. The production version of the Corrib Chart for Lowrance has now been released and is available on the Navico website here. This is the ultimate chart for fishing on Corrib. 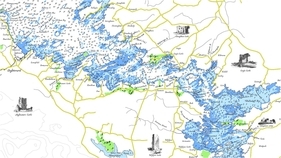 I've just released V 3.3 of AnglingCharts Corrib for Garmin. It contains the latest marker positions. As well as containing the results of all the latest sidescan surveys there are many important updates to bathymetry and points of interest. It also now contains many more of the local names of shallows and marks. 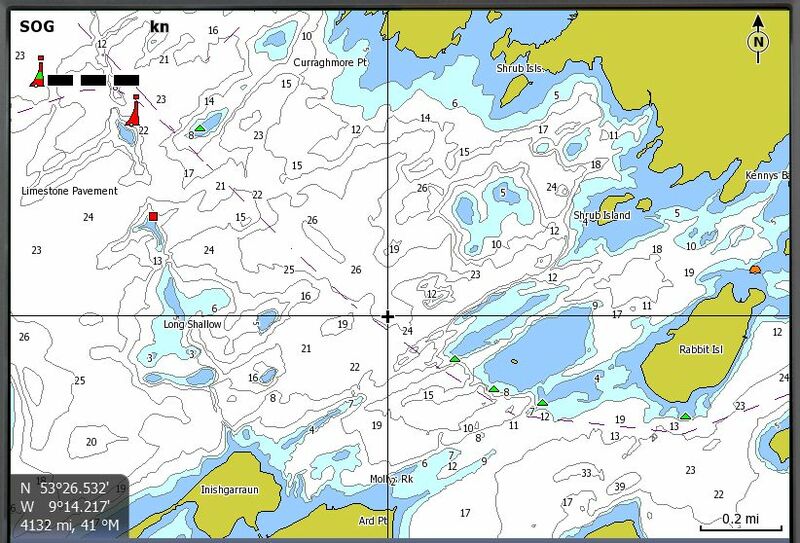 Lough Corrib Trolling Chart for iPad / iPhone and Android. A unique trolling chart of the Corrib is now available. It runs under Memory-Map on the iPad etc. This makes keeping to limiting depths really simple, and is designed for high visibility and ease of use. iPad and iPhone chart of Lough Corrib. The new buoyage system, launch sites and slipways, historical points of interest, vast amounts of new bathymetry, new anchorages, new routes, fully contoured and gloriously clear. Beautiful Corrib Wallcharts available, latest buoyage, launch and slipways, updated bathymetry, wrecks, new routes and much more. The Corrib Depth Wallchart (Bathymetric Chart). This stunning A1 wallchart showing with wonderful clarity the shallows and depths of the Corrib. This is available for purchase NOW. Amazing photos from the beautiful and immensely old Annaghkeen Boat. More photos in the Photos Section too. A specially optimized version of the GPS Charts designed to run on the Garmin Nuvi. 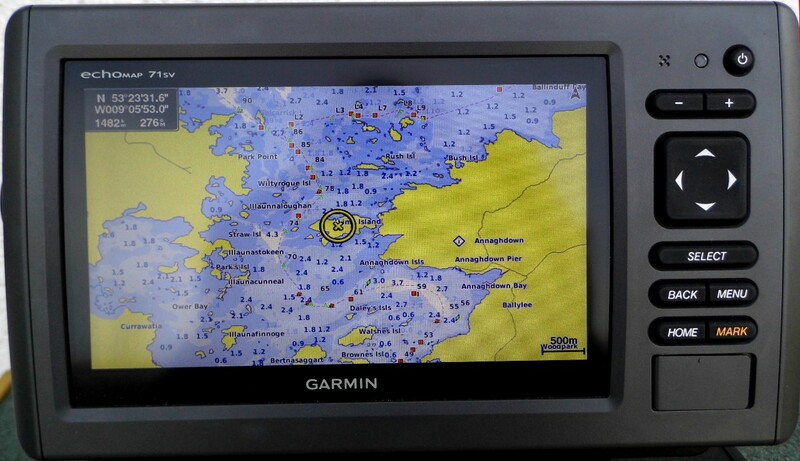 The old GPS charts (pre 2013) for Garmin marine devices will now display entirely the wrong configuration and marker numbering, and due to the introduction of many new individual markers could be DANGEROUS. It will now be the case that a single red buoy should be kept to port when proceeding in the direction of buoyage. 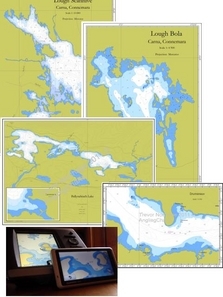 This is entirely misrepresented on all the old GPS charts made by myself but still being sold by CorribCharts, and all the pre-version 3.0 Garmin charts from AnglingCharts. They will lead the user into danger. There is also a new safer routing system being employed which has substantial differences to the present system. There are the usual disclaimers on all the GPS charts, but there is a duty of care which I take very seriously. To continue distributing outdated and dangerous charts would be wholly irresponsible. A new GPS chart is now available that contains all of the currently modified buoyage and a huge amount of newly surveyed areas, These are of course free of charge to existing users of my Garmin G2 charts, and are a simple matter to update on your present cards. Contact charts@anglingcharts.com for further details. 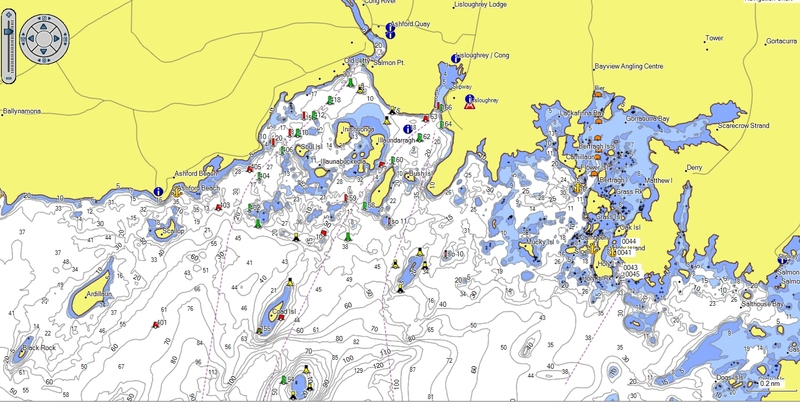 Version 3 of the GPS Chart of Corrib / Mask is now available. 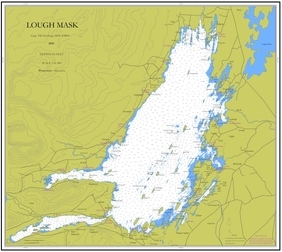 Version 3.0 of the GPS chart now includes LOUGH MASK. Contact the website for details. This edition is fully contoured from Galway to Maam. Contains newly discovered dropoffs and shallows, and the recent historic wreck discovery. As a fishing map the new chart is unbeatable. If you are considering a holiday fly fishing in Ireland, on Lough Corrib, a GPS in your pocket loaded with this chart could take you right to the fish !